Have you ever been getting ready for that all important first date or job interview or meeting up with old friends you haven’t seen in ages only to find that you can’t decide on the right jewelry or accessories to complete your outfit? The thing is, there is something to be said for fashion sense. Some people have it and some people don’t but even so, you can’t go wrong with diamonds. They go with everything. Size Isn’t Important – Or Is It? When choosing the right diamond jewelry that would literally work with every outfit you own, you might be tempted to say that size isn’t important. For the most part this is true but there is something to be said for being discriminate in your choice of stones. Some casual outfits wouldn’t be well complemented with expensive diamond pendants that are obviously of high quality. On the other hand, some evening gowns wouldn’t be well served with a pair of diamond chip earrings or obvious fake replicas that can be purchased at any dime store. Real diamonds are key to any look, casual or formal and size really does matter to some extent. When it comes to having good fashion sense, quality of your diamonds is vital to any look – that is unless you are going to a costume ball or cosplay expedition. No matter if you are going casual / informal or semi-formal to formal, a good quality diamond is a sign of having a good handle on fashion. 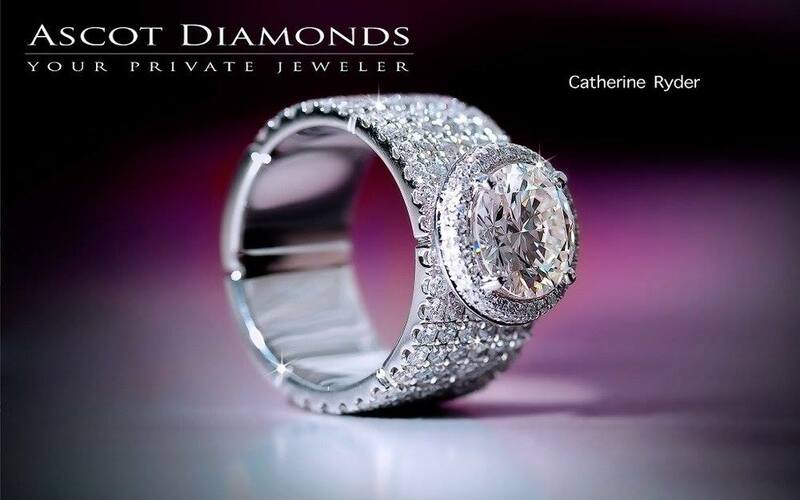 Check out the hand selected diamonds on ascotdiamonds.com and you’ll see just why the quality of the stone is important. Quality is indicative of good sense in that who would pay for an inferior stone? A diamond’s value is based on several things of which color and quality are vital. The cut is important but a good quality diamond of the right color can be cut by a master jeweler in any of the traditional cuts available. Since a high quality diamond cut well and set by a master craftsman doesn’t come cheaply, if your budget is a bit limited, choose a piece of jewelry for all occasions. For example, that diamond engagement ring you never take off. It is a ring for all occasions even though it has a particular meaning to you and to all who see you wearing it. The same should be said for diamond jewelry of any kind. From earrings to brooches to necklaces to bracelets, careful consideration should be given to a piece that doesn’t call undue attention to itself but is there nonetheless. It’s difficult to explain but the right piece for all occasions will be seen but will not overpower whatever outfit you wear. A simple pendant could be worn equally well with jeans and a button up blouse as well as with a floor-length prom dress, neither of which would be overshadowed by the necklace. The bottom line is, it is better to have one simple piece of jewelry crafted with a high quality diamond than it is to spend a small fortune on costume jewelry that is, for all intents and purposes, worthless in the scheme of things. Good taste, that is to say good fashion sense, means knowing that diamonds can be worn with all things and at all times if the right piece is chosen – and that’s the simple truth.